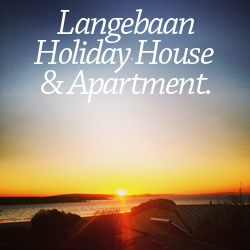 Address: Travelling north on the R27 (West Coast Road) from Cape Town in the direction of Langebaan / Veldrif. Elandsfontein is on your right, 30km after the Yzerfontein Turnoff and 9km before the Langebaan turnoff. Elandsfontein Game Reserve is a 5000 hectare property situated on the Cape West Coast approximately one hour’s drive on the R27 from Cape Town, adjacent to the West Coast National Park. 3 hour Nature Activity drive including drinks. Address: Buffelsfontein Farm, R27 West Coast Road, Darling, Western Cape, South Africa. Buffelsfontein Game & Nature Reserve is a private game reserve situated on the R27 in the heart of the West Coast, a Malaria free zone. Come and enjoy what we have to offer, from magnificent wildlife to superb South African scenery. Game Drives, Safaris, 4×4 Route & Bush Camp.